I specialize in Home Equity Conversion Mortgages, aka HECMs or Reverse Mortgages as they’re also called. I opened my mortgage brokerage in 2016 and named it Heritage Home Loans, dba Heritage Reverse Mortgage. HECM Reverse Mortgages are our focus but we offer all primary mortgages including VA, FHA, Conventional, and Jumbo Home Mortgages. Our company is licensed in Utah, Colorado and Nevada and I have clients all over these three states. St George or Southern Utah is where I call home. We’re located on I15 about 300 miles south of Salt Lake City and 120 miles northeast of Las Vegas. St. George is the greatest city in the world in my opinion. There is no place I’d rather live, raise a family and eventually enjoy retirement than right here. But over the years, I’ve made a habit of asking clients what they like about their city. From these conversations, I’ve learned there are some incredible places all over Nevada, Utah and Colorado. As a Young Man I served a two year service mission in Brazil for the Church of Jesus Christ of Latter Day Saints. My connection to North Ogden comes from my Mission President or the man who served as the director of our Mission in Brazil. North Ogden is where he and his wife live and for a time he served on the city council for North Ogden. A few years ago just as I was about to open Heritage Reverse Mortgage I traveled to North Ogden to meet with my president and I got the chance to see his beautiful little town up close. -What’s great about North Ogden City? Location – North Ogden is located on the northern tip of what would be considered the Wasatch Front. North Ogden is just 14 miles to Ogden and 45 miles to Salt Lake City. This is nice for residents because they have access to the major amenities of big cities without the hassle. Size – According to the last Census North Ogden has just under 20,000 residents. Its size allows it to feel like a small town even though it’s located close to Ogden and Salt lake City. Willard Bay – Just up the road a few miles between North Ogden and Brigham City is Willard Bay Park. Willard Bay is unique because it is situated right next to the Great Salt Lake but it is a fresh water reservoir that is perfect for boating, swimming, and Fishing. As a Child my family and I lived briefly in Brigham City and we loved to visit Willard Bay. Union Pacific Railroad Museum – A few miles south in Ogden is the Railroad Museum. 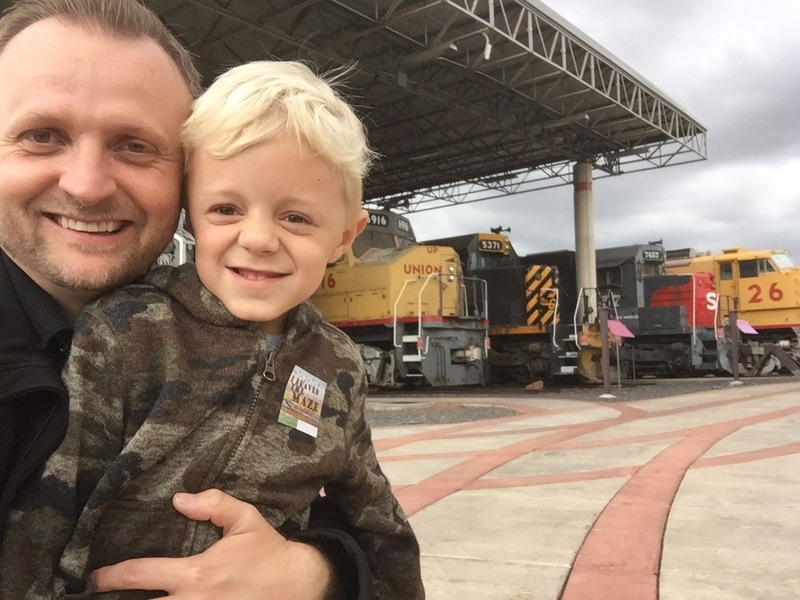 As mentioned in my previous article I recently took my Son on a Train tour of Utah and the Train Museum was a must stop. The Museum is an exciting stop for kids that love Trains. Ski Resorts – Up the Canyon from North Ogden are two world class ski resorts, Powder Mountain and Snow Basin. Being located at the northern end of Utah and the Wasatch Front both of these resorts tend to get some of the state’s best snow. I hope you’ve liked these highlights of North Ogden Utah. If you like being close to the big city but love the small town feel, this might be a city that would interest you.